All of us gamers have experienced this. Search for some in-game term on YouTube and you will come across hundreds of search results making it very difficult for the players to find useful content among other irrelevant cat and troll videos. YouTube knows how frustrating it can be for newbies especially when are looking for a particular gameplay and walkthrough video. 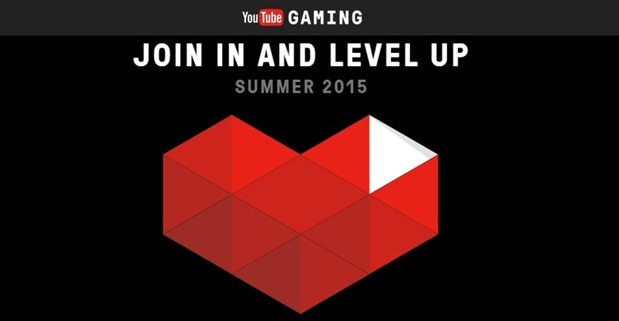 With that in mind YouTube has announced the launch of YouTube Gaming this summer. “Live streams bring the gaming community closer together, so we’ve put them front-and-center on the YouTube Gaming homepage. And in the coming weeks, we’ll launch an improved live experience that makes it simpler to broadcast your gameplay to YouTube. On top of existing features like high frame rate streaming at 60fps, DVR, and automatically converting your stream into a YouTube video, we’re redesigning our system so that you no longer need to schedule a live event ahead of time. We’re also creating single link you can share for all your streams,” mentioned YouTube in a blog post. YouTube Gaming would be a different platform from YouTube with its own mobile app and website. It will not only allow the expert gamers to live stream and upload their gameplay videos but will also connect the newbies with them. The platform will also have dedicated pages for different gaming titles hosting best videos of gameplay, walkthroughs, tricks, etc. Ardent gamers and game publishers can also make their own page for showcasing their expertise and new features. The whole platform will work in a way similar to YouTube where you can subscribe to a channel and get notifications as and when new videos are posted. YouTube will be launched this summer in U.S. and U.K. There is no word on its global launch at the moment, but we’ll let you know as soon as it is announced. The best feature of the Amazon app store is its ‘Free App of The Day’ and many of us use it only for that reason. Apple has also been offering ‘Free App of The Week’ to its iOS users for quite some time now, but Google Play has never had any such feature until now. The developers could list their app from paid to free but couldn’t reverse it on Google Play. 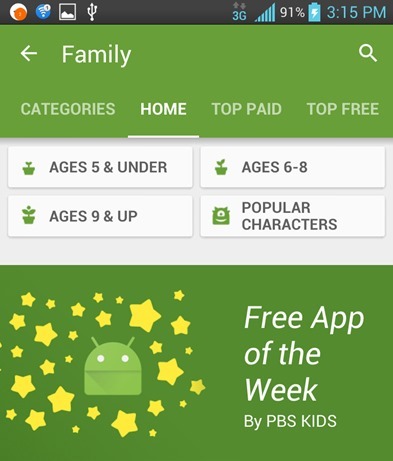 With the launch of this ‘Free App of The Week’ under the Family section in Google Play, the company is not only giving the users a chance to try a paid app every week, but is also helping the developers in reaching out to a vast audience which would have never tried their app if it were a paid one. This way, the developers can make a one-time impact on the users who might then pay for that developer’s app in future. As of now, this free app giveaway is only restricted to Family section, and thus will feature only those apps which are family-friendly. The first paid app under this giveaway is Daniel Tiger Grr-fici Feelings from PBS kids which is priced at Rs. 198.28 otherwise. There is no official confirmation on whether Google will extend this ‘Free App Of The Week’ feature to other categories as well, but we’re certainly looking forward to that announcement.